Some great shows and films have landed on Netflix this weekend. Highlights include Bodyguard, Black 47 and the Back To The Future Trilogy. From director John Lee Hancock (The Blind Side), The Highwaymen follows the untold true story of the legendary detectives who brought down Bonnie and Clyde. When the full force of the FBI and the latest forensic technology aren’t enough to capture the nation’s most notorious criminals, two former Texas Rangers (Kevin Costner and Woody Harrelson) must rely on their gut instincts and old school skills to get the job done. Bodyguard tells the story of David Budd (Richard Madden), a heroic, but volatile war veteran now working as a Specialist Protection Officer for London’s Metropolitan Police Service. When he is assigned to protect the ambitious Home Secretary Julia Montague (Keeley Hawes), Budd finds himself torn between his duty and his beliefs. Ambushed by Ulster loyalists, The Killing of three members of the Miami Showband sent shockwaves across Ireland in 1975. Now one survivor doggedly pursues the truth. Sheila (Drew Barrymore) searches for meaning, Joel (Timothy Olyphant) investigates a secret society, and Abby struggles with her feelings for Eric. Life and undeath can be so stressful. Set during the Great Irish Famine the film stars Hugo Weaving, Jim Broadbent and the prolific Irish screen and stage actor Stephen Rea. Joining them are rising international actors James Frecheville and Freddie Fox along with Barry Keoghan, Moe Dunford and Sarah Greene. It’s 1847 and Ireland is in the grip of the Great Famine that has ravaged the country for two long years. Feeney, a hardened Irish Ranger who has been fighting for the British Army abroad, abandons his post to return home and reunite with his family. He’s seen more than his share of horrors, but nothing prepares him for the famine’s hopeless destruction of his homeland that has brutalised his people and where there seems to be no law and order. He discovers his mother starved to death and his brother hanged by the brutal hand of the English. With little else to live for, he sets a destructive path to avenge his family. Experience one of the most popular movie series of all time like never before with the Back to the Future Trilogy! Join Marty McFly (Michael J. 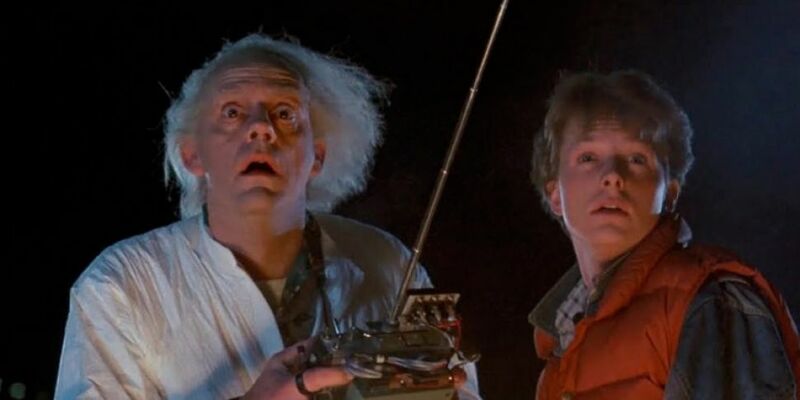 Fox), Doc Brown (Christopher Lloyd) and a time traveling DeLorean for the adventure of a lifetime! The trailer park just got a lot weirder. Picking up where Season 12 left off -- and higher than ever -- the entire gang has turned into cartoons. Loveable, hilarious Charlie leads you on unpredictable and imaginative shape-filled story expeditions alongside a colourful cast of characters.